Romancing the Shinsengumi – Now in English! Those of us who are familiar with otome games will be no stranger to Hakuoki, one of the most popular of its genre over in Japan. 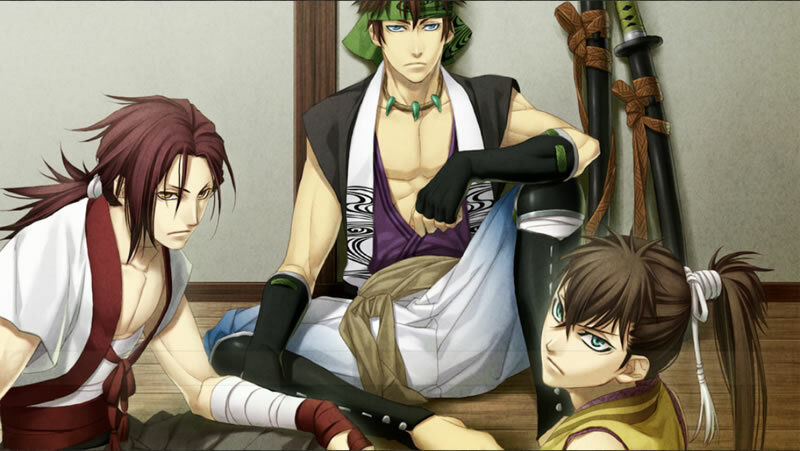 For the rest of us, Hakuoki is a visual novel game based on the historical Shinsengumi of japan. The story features a young woman who comes to Kyoto in search of her missing father, and soon encounters danger and the Shinsengumi in quick succession. In the game, you, as the player, get to make different choices regarding various situations, so as to explore multiple romantic endings with the different characters in the Shinsengumi. Hakuoki is originally available as a game on Playstation consoles. This is the first time it will be made available in Southeast Asia and on mobile platforms. PopCulture Online had the opportunity to try out the game at the Gloczus booth over at Anime Festival Asia last weekend. Visitors also had the chance to dress up in traditional Japanese clothing, pose for a photo with a standee of their favourite character and claim a free poster! 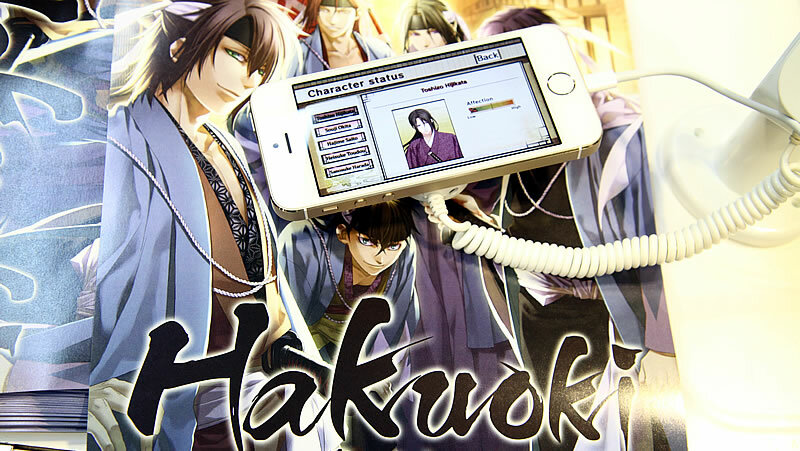 Hakuoki is slated to be ready for download from the Apple store and Google Play store from mid December onwards. (We hear through the grapevine that the release date is set for 17 December, but don’t quote us on that!) The prologue is available for download for free with subsequent chapters priced at 400yen (approximately S$6) each. If you purchase the entire game for a one-time price of 2800yen for all the 10 chapters, you will also get a free original episode, only available for the mobile game. After trying out the game for ourselves, we really like how the English version of the game keeps all the Japanese voice actors (because really, listening to the boys whisper sweet nothings to you in the original language is a good part of the fun). The translation, as far as we can see, is accurate and graphics are excellent. The only downside, as far as we can see, is that the prologue itself takes up 1.2gb on its own (a trade-off for the beautiful graphics, really) and that can make downloading a pain on slower networks. That said, Hakuoki in English is definitely something to look forward to! 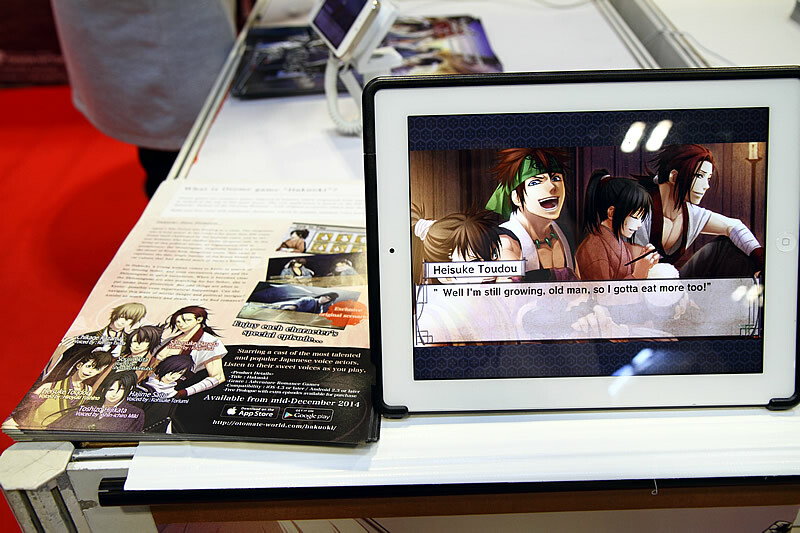 Especially when we also received news that if Hakuoki is well received here in Singapore, we will soon be looking at other otome games such as Amnesia being brought over to mobile platforms in English! !